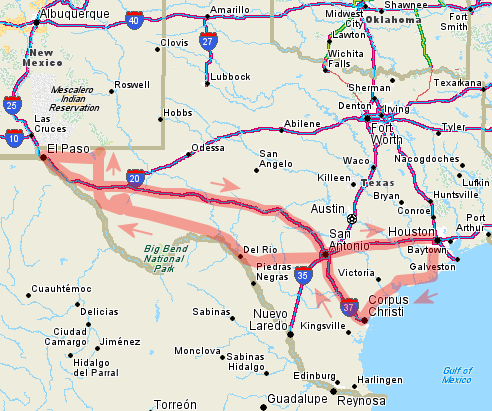 The road trip took place January 8-12, 2005. Weather conditions were unfavorable for photography most of the trip, with thick clouds and even dense fog. I managed to get some decent photos and about two-thirds of the images in the links below are good quality. El Paso 19 images. The sun came out so these photos are high-quality.